SOTO CANO AIR BASE, HONDURAS— The Medical Element Preventative Medicine team hit the streets of Comayagua and Siguatepeque, Nov. 7, for their weekly community outreach mission assisting the Ministry of Health representatives in Comayagua. During their visits, the team goes to various neighborhoods and asks private residents, communities and facilities if they would like their water quality analyzed. The team also tests for sulfates, nitrates and a host of other chemicals and minerals that can cause harm to people in certain quantities. According to the Centers for Disease Control and Prevention, water can be contaminated from a number of sources including local land use practices such as fertilizers and pesticides, naturally occurring chemicals and minerals, manufacturing processes and wastewater releases. Once water is contaminated, it can cause diseases such as salmonella, E. coli and Hepatitis A and lead to serious health effects such as reproductive problems, neurological disorders and can be especially dangerous for the immuno-compromised, infants and the elderly. 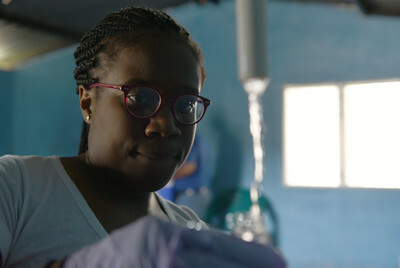 To test the water, preventative health specialists run the water source for three minutes to get rid of any possible contaminants from the spout itself. Then the team rinses out the testing containers with the water a few times to ensure the water is not accidentally contaminated by any residue in the testing container. After filling their containers, the team uses chemical reactants and a colorimeter, to determine the levels of the various factors they test for. “Back in the states we’re testing water that’s already been treated, here us testing can be the difference between whether someone is healthy or not,” said Sgt. Lakeshia Nolan, MEDEL preventative medicine NCO in charge of facilities. These trained professionals realize the importance of having clean drinking water and the hazards that can accompany contamination. By helping the Ministry of Health, the team strives to improve the quality of life for the local community through their efforts.